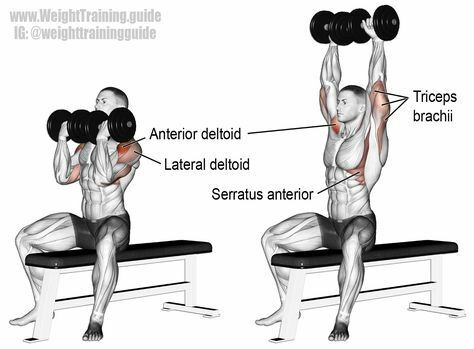 The first exercise of this workout dumbbell lateral raises, this workout can be done by anyone and can target your shoulder muscles very well. This exercise will be 4 sets of 12 reps. To complete this exercise, you will first need to grab two dumbbells of equal weight and hold them to your side. The next thing that you will need to do is to slowly raise both arms at the same time to form a cross with your body. Once you have formed a cross, you will begin to lower your arms back to the starting position. The diagram for this workout is below. The Second exercise for this workout will seated dumbbell shoulder press. This exercise will be 4 sets of 15 reps. To complete this exercise, you will need to grab two dumbbells of equal weight once again. Once you have completed the first step, you will then sit down on to a military bench. Then you will hoist both dumbbells up parallel to your ears. Finally, you will slowly extend your arms up until both arms are straight and then slowly lower back down to the starting position. The diagram for seated dumbbell shoulder press is below. The third exercise for this workout will be barbell upright rows. For this exercise, you will need to do 4 sets of 10-12 reps depending on the weight you choose. To complete this exercise you will need grab a barbell to the weight of your choice. Once you have done this, you will then place your hands shoulder width apart and slowly raise the barbell to your chin starting from your waist. Then to complete one rep, you will slowly lower the barbell back down to the starting position. The diagram for this exercise is below. You are now half way through your workout! The fourth exercise that you will complete will be the Arnold dumbbell press. This amazing exercise is named after one of the best body builders in history and will surely maximize your shoulder muscles. The exercise will be 4 sets of 15 reps. To complete this exercise, you will need to grab two dumbbells of equal length and hoist them up next to your chest. After you have done this, you will slowly raise the dumbbells up while turning them to face outward. Once you have reached full extension, you will then lower them back down and turn the dumbbells back facing you. The diagram for this the Arnold dumbbell press is below. Dumbbell rear delt raises will be the fifth exercise that you will complete and will consist of 4 sets of 12 reps. To complete this exercise with good form, you will need to first grab two dumbbells of equal weight and then bend your back parallel to the floor. Once you have done this, you will begin to slowly raise the dumbbells up by bringing both arms out. Then, when you get arms back all the way you will squeeze your rear delt for one second. After that you will lower the dumbbells back down to the starting position. The diagram for this exercise is below. You are almost done, this will be the last exercise! 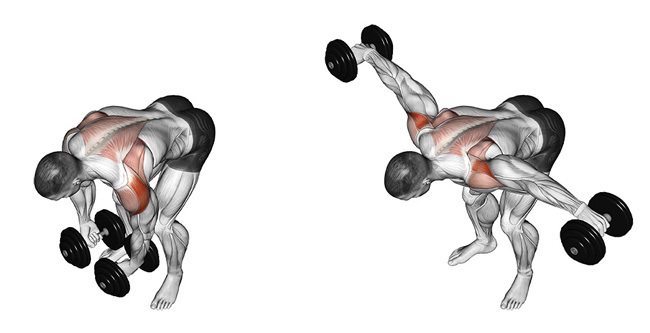 The sixth, and final exercise that you will need to complete will be dumbbell shrugs. This exercise will be 5 sets of 20 reps. To complete this exercise, you will need to first grab two dumbbells of equal weight and hold them to your side. Then you will raise only your shoulders and squeeze your trap muscles. Once you have reached the top, you will then slowly lower the dumbbells back to the starting position. 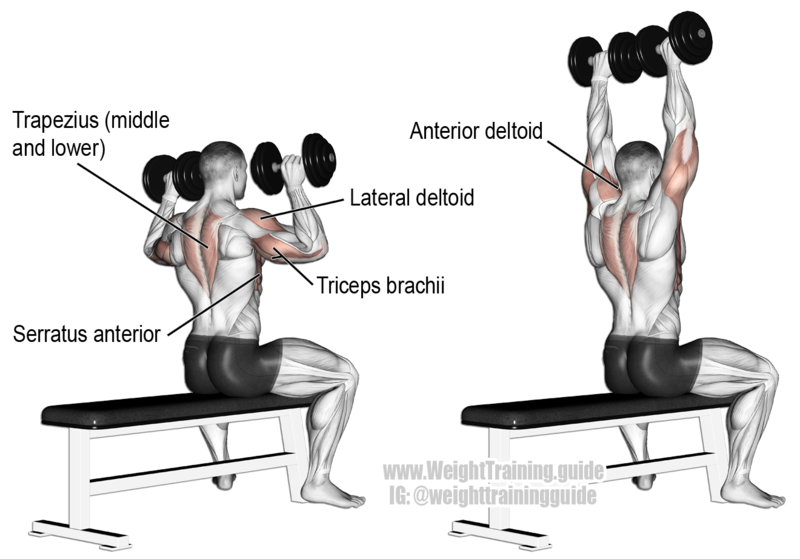 The diagram for dumbbell shrugs is below. I hope that you have taken something away from this article after reading it. Thank you for reading. Previous PostBlack Panther Movie ReviewNext PostWhy Do Students Procrastinate?